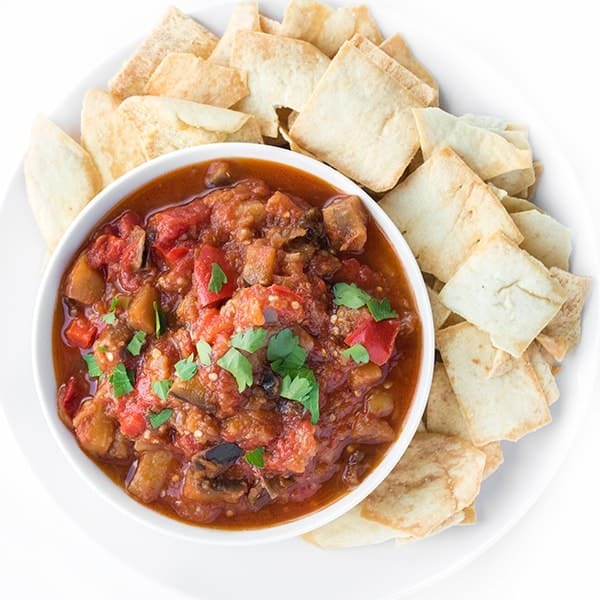 This smoky eggplant dip made with tomatoes and red peppers can be served hot, cold or room temperature. My husband and I love eating out at a local Turkish restaurant here in Grand Rapids. In typical Liz fashion, I am always more interested in the appetizers than the entire rest of the menu combined. What can I say? I love a good dip. 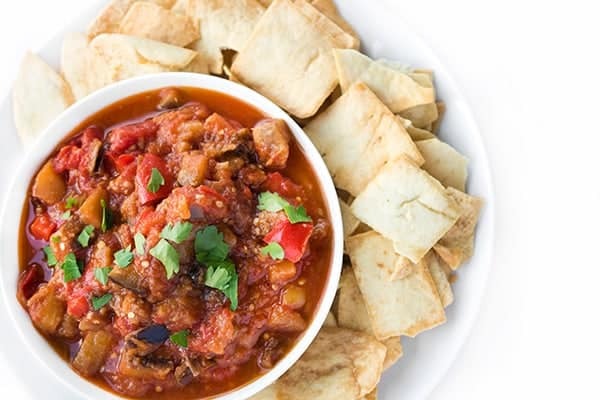 This eggplant salsa/salad/dip is inspired by the one we always order at the local Turkish restaurant. Smoky, charred, slightly sweet and totally addictive, you won’t believe how easy this healthy appetizer comes together. 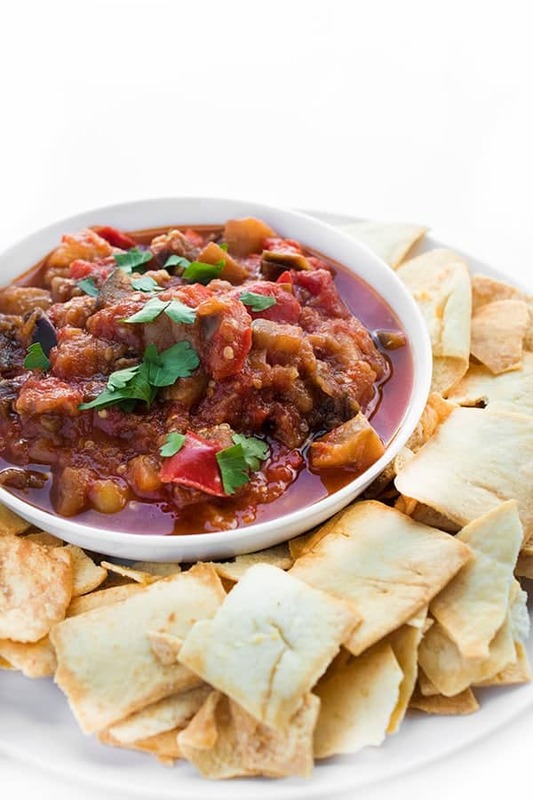 To make it, you simply sauté eggplant, tomatoes and red bell peppers in olive oil and season it with garlic, cumin, smoked paprika and a pinch of sugar. The restaurant deep fries the eggplant cubes but my lighter version is just as delicious with half as many calories. 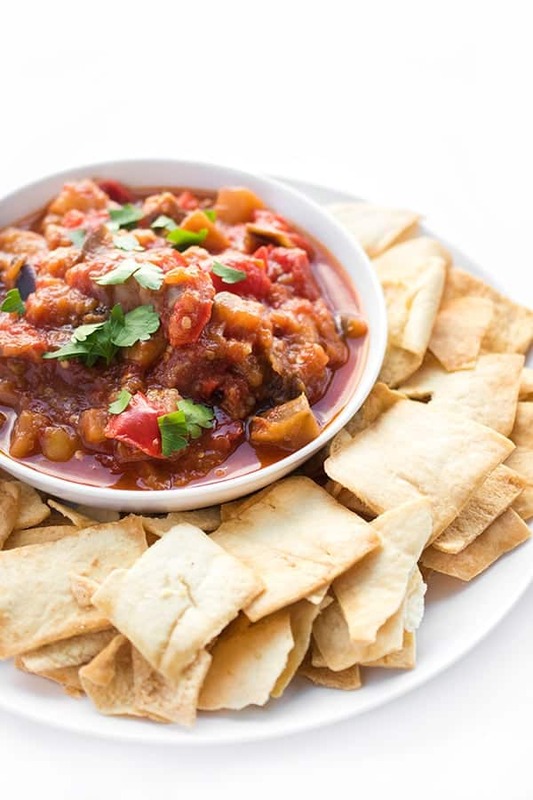 Served warm, room temperature or chilled, it is delicious eaten as a dip with pita chips, as a side with grilled meat or on top of quinoa as a hearty vegetarian main dish. Ideal for making in advance, the flavors only develop and intensity over time so feel free to make a day or two ahead of time. Heat olive oil in a medium sauce pot over medium-high heat then sauté garlic until fragrant, about 30 seconds. Add eggplant and salt to the pot and fry until eggplant starts to soften, about 5-6 minutes, stirring occasionally. Add peppers to the pan and continue to sauté until softened, about 3-4 minutes. 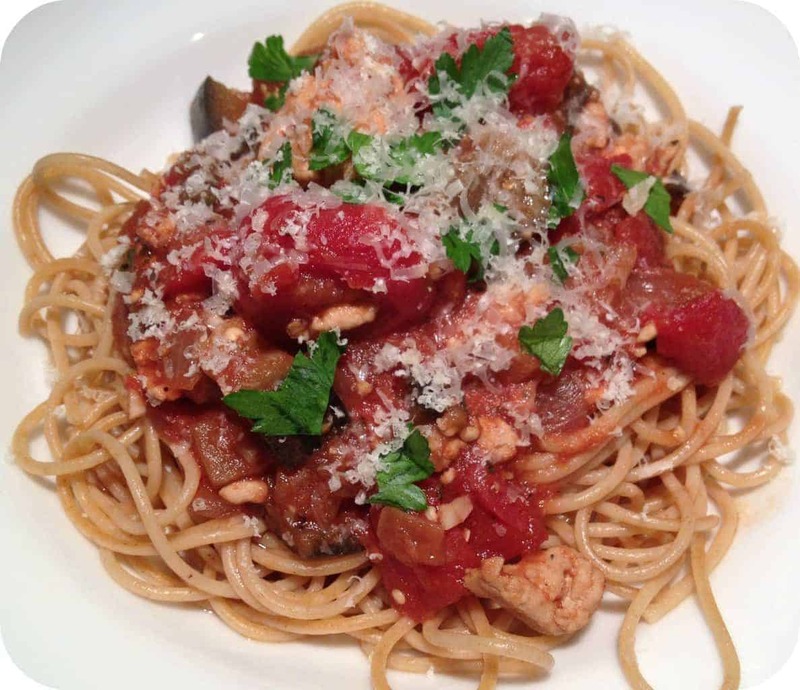 Pour in diced tomatoes and all remaining ingredients to the pan and increase heat to high. Bring pan to a boil then reduce heat to low and simmer until vegetables are soft and flavors develop, about 30 minutes. Can be served warm, room temperature or chilled. Delicious with pita bread or on its own as a side dish. 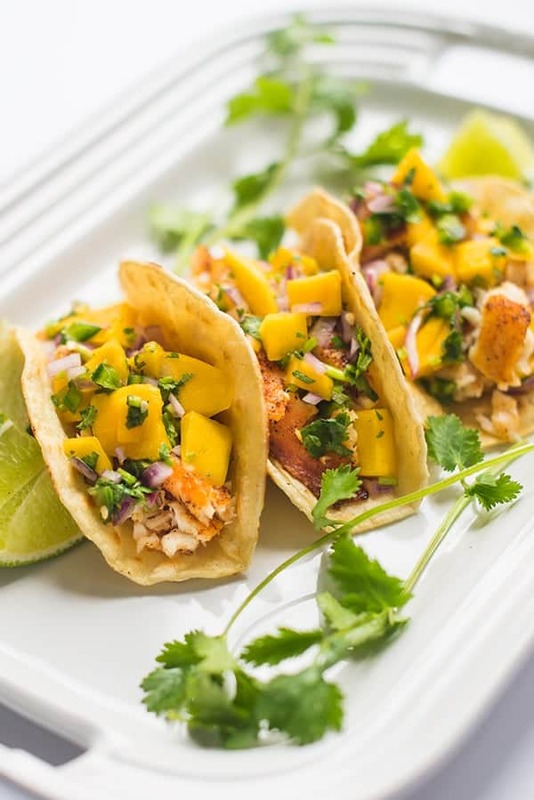 Take a look at my Pinterest board for more healthy appetizer recipes! Crazy coincidence! I went to Zeytin in Ada today and searched eggplant salad when I got home to find this! My wife is Turkish and we just got back from a long vacation over there. 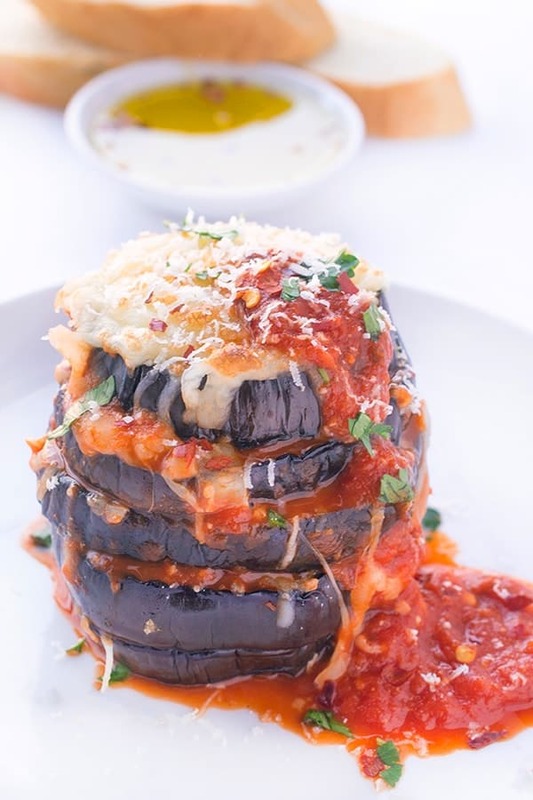 Eggplant has become a regular item with many of our dishes! Thanks for the recipe and can’t wait to try it out! No way!! What a small world! Hope you enjoy! MMMM!!!! I went to Turkey before and it was SO amazing!!! This reminds me of MEZZES – which were served before all of our meals! SO good! I’m so jealous I would LOVE to visit Turkey one day! I’m not big on dips, but I agree that this sounds totally addictive. And I like the idea of using it as a vegetarian main.